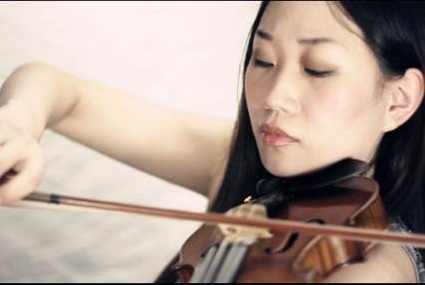 WeiYi Wang began violin study with her father at the age of 4. In 1993, Ms. Wang entered the Central Conservatory of Music in Beijing, studying first with Professor Zhao Wei and then Mr. Lin Yaoji. While studying in the Central Conservatory of Music, Ms. Wang won numerous competitions. In 1998 Ms. Wang won the first prize at the China National Violin Competition, and in 1999, she was the medalist of the 46th Nicolo Paganini International Violin Competition in Italy. In 2000, Ms. Wang won a scholarship to study with Professor Nina Beilina at the Mannes College of Music in New York. She was appointed by Lorin Maazel to the position of Associate Concertmaster of the newly created Palau de les Arts-Reina Sofia in Valencia, Spain in 2006. Ms. Wang joined the New York City Ballet Orchestra violin section in November 2009.